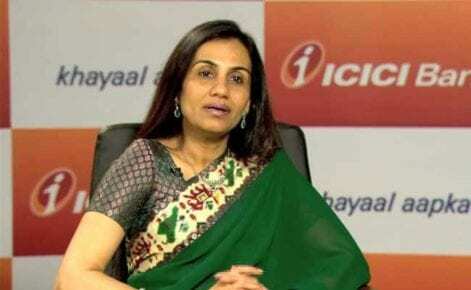 The Central Bureau of Investigation (CBI) probe against former ICICI Bank CEO and MD Chanda Kochhar has shown that she received “illegal gratification” through her husband Deepak Kochhar for favoring Videocon group. Being the top person of ICICI Bank, CBI says, Chanda Kochhar approved six loans to Venugopal N Dhoot’s Videocon group between June 2009 and October 2011. 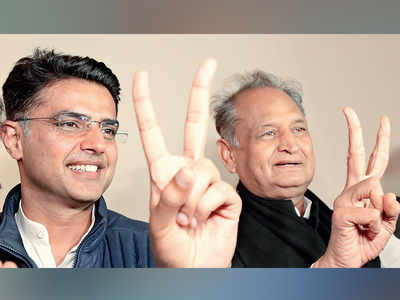 One such loan – a rupee term loan (RTL) worth Rs 300 crore was given to Videocon International Electronics Ltd (VIEL), in which Kochhars got the bribe promptly. In the sanctioning committee which approved this loan, Chanda Kochhar was there as one of the members and she conspired to cheat her own bank. “Abusing her official position”, she sanctioned the loan on August 26, 2009, three months after she took over the charge as MD-CEO of ICICI Bank. The amount was disbursed into the account of VIEL on September 7, 2009. Interestingly, CBI states, the “very next day” (September 8), Venugopal Dhoot transferred an amount of Rs 64 crore to NuPower Renewables Limited (NRL) managed by her husband Deepak Kochhar from Videocon Industries Limited (VIL). CBI states, “this was first major capital received by NRL to acquire its first power plant”. “This Chanda Kochhar got illegal gratification/undue advantage through her husband from VIL/Dhoot for sanctioning Rs 300 crores to VIEL”. Explaining how NRL became Deepak Kochhar’s company, CBI says this company was incorporated by Deepak Kochhar, Venugopal Dhoot and Saurabh Dhoot on December 24, 2008, as its first directors. Dhoots resigned from the company on January 15, 2009. However, before resigning, Venugopal Dhoot confirmed his 19,97,500 warrants to Deepak Kochhar at the rate of Rs 10 per warrant, on an initial payment of Rs 1 per warrant. NRL’s controlling company – Supreme Energy Pvt Limited (SEPL) also has a Venugopal Dhoot connection. Incorporated on July 3, 2008, with Dhoot having 9,990 shares and his associate Vasant Kakade (10 shares), SEPL also became a Kocchar company on the same day as NRL – January 15, 2009. This alteration of ownership happened around eight months before ICICI Bank disbursed the loan of Rs 300 crore in the VIEL. “On January 15, 2009, Dhoot resigned from the director position of SEPL and transferred its control to Deepak Kochhar by selling/transferring his shares to Pinnacle Energy Trust (PET) which is managed by latter,” states CBI. “This shows that Dhoot knew he was going to get the loan from the bank and this was a favor in advance,” stated a CBI official. In its inquiry, CBI had examined Chanda Kochhar’s brother-in-law Rajiv Kochhar, Deepak Kochhar, employees of Videocon, NRL and ICICI Bank, sources said. At the time of registration of PE, ICICI Bank had defended Chanda Kochhar and said it reposed “full faith” in her. It had also said there was no question or scope of any favoritism, nepotism or quid pro quo in the loans to Videocon.